The morning portion of this workshop will focus on creating a solid understanding of the basic principles of good grazing management systems. Starting first from the plants perspective, we will look at the needs of perennial pasture plants and how to meet those needs by following the grazing guidelines. From there we will do some group exercises and practice to learn how to measure the amount of feed in a pasture, calculate paddock sizes, stocking densities, stocking rates and understand what the ideal number of acres for a flock or herd is. We will then look at some real on farm examples to practice and learn more about perennial plant anatomy and physiology. In the afternoon, we will look at pasture from the livestock perspective, learning techniques to meet their nutritional needs, maximize pasture dry matter intake, provide low stress handling, provide the correct supplemental feeds and minerals, and when shade or shelter should be planned into grazing. We will also spend time in the afternoon discussing techniques to monitor and assess the health of the pasture ecosystem, and the performance and the well-being of the livestock. This session will include indoor classroom time and outdoor time in the pastures. You will want to bring clothing to be comfortable both indoors, and outdoors in rain or sun. Bring a calculator and notebook. 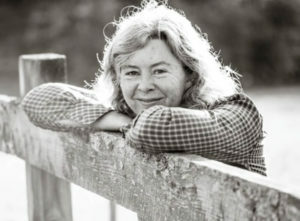 Sarah Flack, author of The Art and Science of Grazing, is a consultant specializing in providing practical information on grass based and organic livestock production to farmers, organizations, institutions and individuals. She has a diverse background in sustainable agriculture, which includes both on-farm and academic experience. She is nationally known for her public speaking, workshops, books and numerous articles on a range of agricultural topics.